Health departments and regulatory enforcement agencies unanimously agree that illnesses are most easily spread through hand contact. The overwhelming evidence concludes that hand washing is one of the best ways to avoid getting sick, spreading germs and decontaminating your hands. 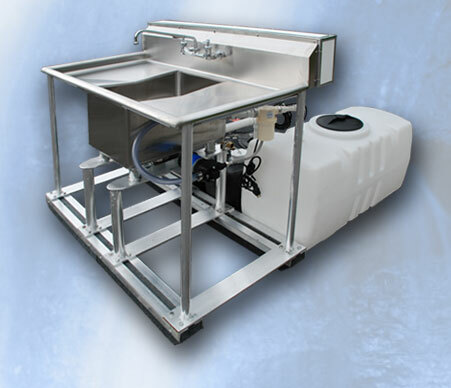 CALLAHEAD's WATERMASTER 100 PORTABLE STAINLESS SINK is available so even those heavy duty job sites and events are not only health code compliant but a healthy environment. Whether it's a food vendor using heavy utensils and cookware or a construction job site using dangerous solvents, the WATERMASTER 100 PORTABLE STAINLESS SINK has the durability to handle the toughest cleaning jobs. Available with the optional BOSCH HOT WATER HEATER can give your event or job site the added benefit of having hot water at your fingertips. CALLAHEAD also can supply your site with a generator if there is no electricity available such as in emergency situations. 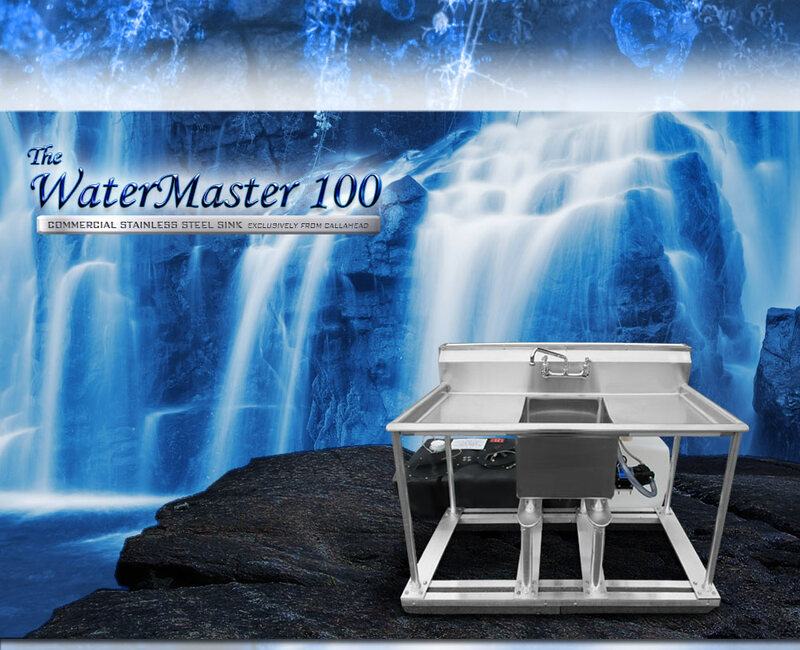 Either connected to CALLAHEAD's developed PORTABLE WATER AND SEWER SYSTEM which supplies 50 gallons of fresh water or to a domestic water line, the WATERMASTER 100 PORTABLE STAINLESS SINK can accommodate any location. The stainless steel one compartment sink comes complete with 2 drain boards for added space durable for drying utensils, cookware, mechanical parts or tools after cleaning. This is one of the most durable commercial grade stainless steel sinks available in the field. This stainless steel design is not only durable but very easily cleaned and disinfected. Especially necessary for those construction job sites using cement, solvents and other hazardous agents this commercial grade heavy duty sink is a must for worker safety. Responsible event organizers and food vendors will also appreciate the ease of ensuring they maintain health code compliance. Only CALLAHEAD supplies the most durable sanitary equipment on the market along with the most variety to accommodate any and all of your portable sink needs.